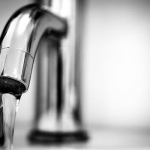 Lincoln residents are heeding Mayor Beutler’s call for reduced water consumption. Mayor Beutler announces that Lincoln residents reduced their normal rate of water consumption by about three million gallons in one day…which he calls tremendous progress. inaccessible making most the evaluation and repair work impossible until the flooding recedes further. Mayor Beutler says they must do everything possible to continue to conserve the city’s water supply. Mayor Beutler says they continue to evaluate the need for restrictions on a daily basis with the goal of lifting them as soon as sufficient repairs are made to adequately increase production. Mayor Beutler has mandated that Lincoln residents reduce their water consumption in half because of flooding at the city’s well field in Ashland.